Congresswoman Lee represents the 18th Congressional District from Texas centered around Houston. She is serving her 11th term as a congresswoman. She serves on Judiciary, Homeland Security and the Budget Committee. She is an advocate for women’s rights and the scourge of gun violence in our communities. Q. What was the catalyst that inspired you to go into politics? “I wanted to be a judge and was appointed by the Mayor of Houston to be a associate municipality judge in Houston. I had a lot of women and men that mentored me and helped me to get involved in politics. Tragedy came due to a death on the Houston City Council and a seat opened up. Mickey Leland (former US Congressman from TX and former Chair of the Congressional Black Caucus) and Barbara Lee (D-CA) inspired me and had a presence in my life. Local precinct judges and community leaders encouraged me to run for council. I was a young mother at that time my children were still very young. These large figures and community persons who inspired and motivated me they were my armor bearers to tell me that I could run. No African American woman had ever been on the Houston City Council. That was back in 1980. After a tumultuous race and a run off I ended up being an at large member of the city council. Women who are the backbone of our community, local leaders, church leaders encouraged me to run and succeed in politics. Q. 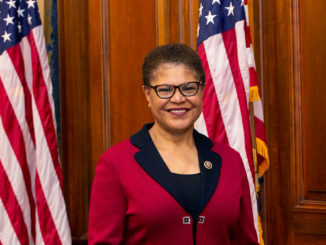 Is the House of Representatives ready for an African American speaker? Absolutely, we are multi-talented, multi flexible and we are not given the credit of our intellect. That means that black women in our historical perspective were slaves in the house and out of the house. Who had to keep families together. Communicate with all and give them assistance and stay connected to others. Starting from slavery, to reconstruction to Jim Crow and to Sojourner Truth, a suffragette, who never got credit for being a suffragette who discussed women voting in the 1800’s. One of the key points I try to make in media interviews is I know cybersecurity, homeland security, I understand the constitution. Don’t call black women or people of color just to discuss race. If we happen to be an expert on any topic, family, health care, technology, small business. Ask them to give their expertise on that and not just racial issue. 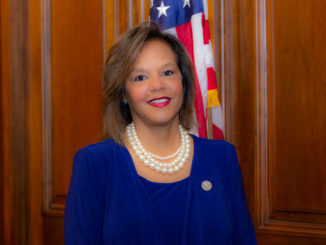 Is there a prepared African American woman to be speaker? Absolutely! I believe that former speaker Nancy Pelosi was an excellent speaker in years past. Certainly, it would be her choice and the selection of her colleagues. Today, I am focused on winning the midterms. Women overall have been challenged as to whether or not they are capable. We had a capable speaker. Black women still fight in 2018 to fit into the mold of being. As I understand it right now we don’t have a black woman Fortune 500 CEO. We don’t have an Ivy League university president that is a Black woman. Those statistics do not represent the genius of African American women. Q. You just mentioned a few excellent issues around judiciary, cybersecurity, technology and other. 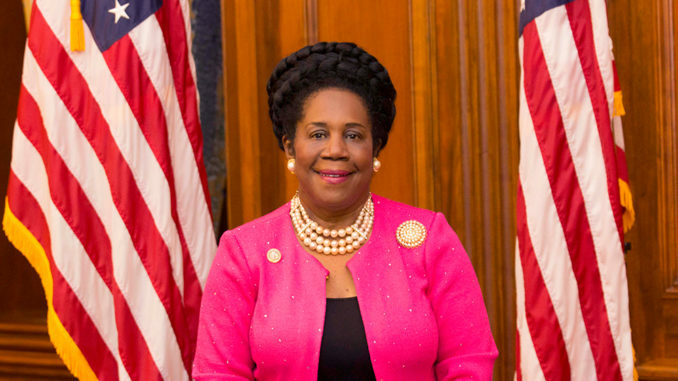 You are Chair, of the Congressional Black Caucus Foundation at this year’s CBC Annual Legislative Conference are there plans to discuss these issues and hold industries and company’s accountable about jobs and opportunities for African Americans? “An old-fashioned term, you bet your bottom dollar. As Chair of the CBC Foundation that is our definition. I am in my second year as chair. Its basic definition is to create the leadership of today and tomorrow. Our theme is 535. To create 535 African Americans to come into political office. We partner with the Congressional Black Caucus and its members. They are our stars over the Annual Legislative Conference. Collectively we represent over 80,000,000 Americans of all backgrounds and religions. We are America and the CBC Foundation showcases that with four days of intense brain trusts and discussions that affect all Americans. We don’t run away from any issues. I am the ranking member on the subcommittee on crime and terrorism. My challenge is to reform the juvenile justice system to give our children a hand up as opposed to condemnation. To have bills to ban the box. To eliminate solitary confinement. To find alternative places for them to be outside of jail. I also deal with violence against women. Allow me to give some of the statistics, we are hopeful to introduce the violence against women act. Here are the stats more than 4 of 10 black women experience physical violence from an intimate partner during their lifetime. I consider violence a health issue. Black women face a high rate of being killed by a man. Black women are 2x times more likely to be killed by a man than white women. We have a jazz caucus in which we talk about the history of jazz. 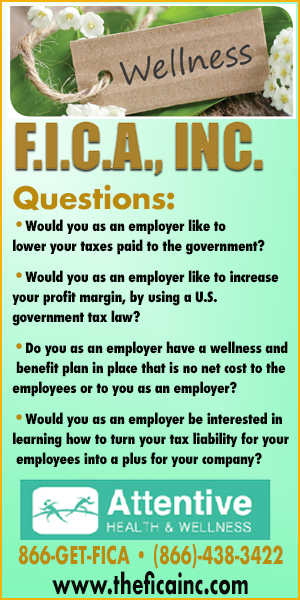 We discuss small business and have a matching event where we bring large corporations to meet small business owners. Congresswoman Maxine Waters does a young gifted and black event. Many of our members will do sessions, all of our ranking member will have sessions. Our co-chairs for this year’s Annual Legislative Conference are Senator Booker and Senator Harris. Yes, the CBC is a learning session. When I first came to Congress I help create the Office of Disparities in Healthcare. In the 1990’s they didn’t have an office that understood or studied the challenges of treating different races. I fought for community health clinics, in the 1990’s and 2000’s I fought to get more in TX and around the country. I am big believer in healthy living. I see it as a valuable part of saving women’s lives. As a breast cancer survivor, I am energized and chauvinistic painfully pushing women to get mammograms. We need to encourage black women to be examined. The thing that brings me to my knees is the black woman who goes to the doctor and is Stage 4. It hearts my hurt because I know we could have saved her life. So, it is important for us to talk healthcare, exercise, good food and preventable care. That is what the Affordable Care Act was all about. I was an integral member of the process to help that bill become law. We have to fight to not allow this to go away our basic health line, health care. Members of the CBC are fighting to eliminate stigmas to get mental health treatment and counseling.